Are you a member of any social media websites or applications? Have a Facebook, Twitter, Pinterest, Instagram, Google+ or any other type of account? If you answered yes to any of the above, then you may be setting yourself up for negativity. 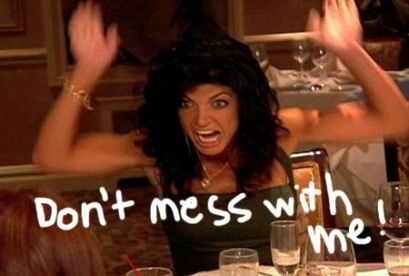 One of my guilty pleasures is watching “The Real Housewives of New Jersey” on Bravo. For some reason, this show captivates me. One of the things I noticed is that they fight…..A lot! A main reason for their fights is actually social media! They are all members of Twitter and so many people that want to get a rise out of them interact using Twitter to do so. They are consistently making negative comments and all of the housewives are feeding right into it. They begin to believe these negative comments and allow it to control their emotions. They allow the rumors and the rude comments to affect their quality of life. Does this sound familiar to you? 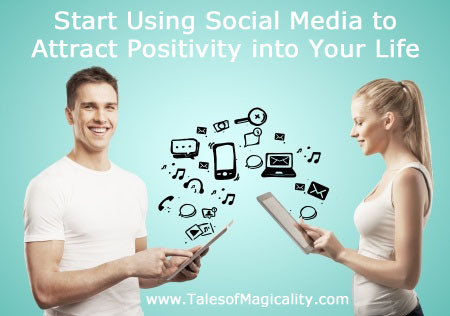 Do you have a Facebook, Twitter, Instagram or Google+ feed filled with negativity? Do you ever let what others say affect your current mood in a bad way? When this happens, you are opening yourself up to attract more negative things to be unhappy about. If you want to attract positivity into your life, you need to stop following anyone that consistently posts about negative things. Block these people from your social media accounts so that you block the negative influencers. Begin to surround yourself with positivity. Do this by filling your feeds with positive posts. Into the Law of Attraction & Magicality? Start following pages that post all about it. Anything that will put a smile on your face, should be what you are following. If you remove the negative and replace it with positive from your Social Media accounts, then your thoughts will be consumed with positivity and that is what you will draw into your life. My feeds are completely filled only with positive people, groups and businesses. That way, when I log in I instantly am given a positive vibe for that moment that will lead me for the rest of my day. Don’t you want to attract more positive to you also? Start today!